The sun is shining today and it is a cool 37 degrees outside, but my thoughts are definitely on the new year and what amazing opportunities God has for me. We never know what the year will bring and all we can really do is make plans and reasonable goals. Before I get started on what I think this year will have in store, I thought I'd take some time and explore what did and did not happen last year. As you may know from listening to my podcast, 2016 was a strange year for me. It was a year of exploration, excitement and in some cases, great disappointment. Isn't that really the sum of life though? I wanted to take a trip to Cades Cove and to St. Augustine Alligator farm. I never made it to Cades Cove. I ended up substituting Gatorland for St. Augustine and two trips to Cataloochee instead of Cades Cove. So, generally good substitutes. I'd say this goal was pretty much met. I wanted to spend more time working on fine art print sales. In reality I did sell quite a few, but ended up shutting down my Etsy account due to my distaste for their fees. I wanted to make a photograph of an elk bugling. I did accomplish this goal in 2016! I wanted shots of whitetail deer in the rut. I did NOT accomplish this goal in 2016. In fact, my whole trip to the Shenendoah National Park was cancelled due to time constraints. I wanted a photograph of an eastern phoebe. I did NOT accomplish this goal in 2016. This one was a long shot for me anyway, but none the less it was a goal. I wanted to take photographs of wild black bears. I did NOT accomplish this goal in 2016. This was due to cancelling my trip to Cades Cove. Shenendoah National Park - 200,000 acres of land which contains everything from waterfalls to deer. I want to go up to Shenendoah National Park to capture photographs of new white tailed deer fawns. This will be in the spring time. 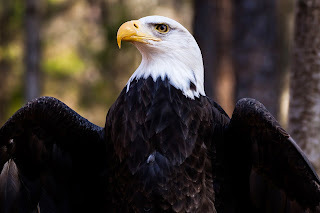 Pennsylvania Bald Eagles and Osprey - Most years, I travel up to Pennsylvania, to an undisclosed location to photography bald eagles and osprey. This is always a fun time with my brother. We talk a lot and shoot not nearly as much. A good time to connect and chat about all things. 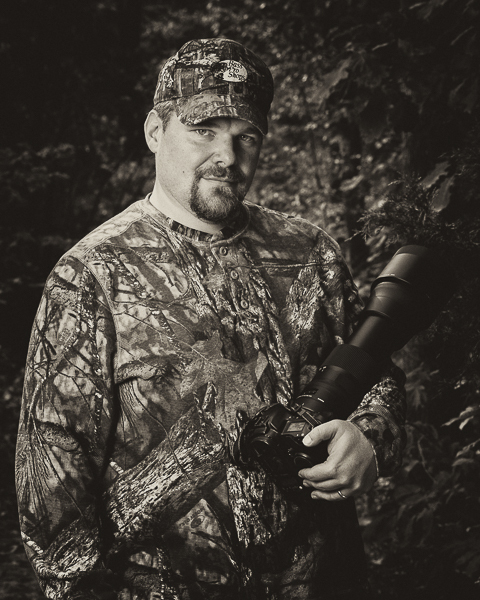 PhotoWild - this is a two day event at Carolina Raptor Center to photograph portraits of raptors. I love this event and rarely miss going. Audubon Swamp Garden - The Audubon Swamp Garden is a located at Magnolia Plantation, SC and is a great place to photograph nesting wading birds and other bird species. Cataloochee - As always I will return to Cataloochee, NC two times to photograph elk in the rut. I have no major gear purchasing to do this year. Instead, money will be funneled to trips. The one exception to this rule may be the purchase of a new wide angle for scenics. This is due to the fact I sold my Canon 10-18mm lens. A major goal this year is to totally reinvent my backyard bird studio. Mainly, I need better perches and better backgrounds. This reinvention will also involve attracting more species to my studio through water drips, additional bird houses and additional natural vegetation. I may not see immediate return on some of the landscaping but I should see the fruits of my labor within the next couple years. I am totally rewriting my website. Although Koken has been a decent option for content management, I have found it lacking in many areas. Since my day job is writing software, this will not be a major problem for me. It will, however, be a large time investment. My goal is to have something out there by the end of the year. I will work on it as time allows. I have intentional made the list of goals much shorter than I have in the past. The general concept this year is intense, strides into fewer areas. This will allow me to better hone my skills in specific genres of my wildlife and scenic photography. The second half of last year was a big disappointment with very little to show and some wasted effort. I have great hope that this year will be much better!